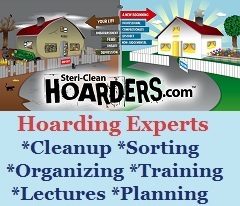 Steri-Clean Ohio is your professional yet affordable solution to clutter and hoarding issues. For 24 years, Steri-Clean has assisted over 10,000 people restore functionality and safety to their house, and made it feel like a home again. 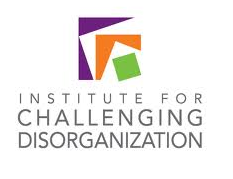 Assisting those that suffer from this disorder can be challenging, yet we are proud to be trained by our company founder and CEO, Cory Chalmers, a leading expert in hoarding, international public speaker on hoarding, and host of the Emmy nominated television series "Hoarders". We at Steri-Clean understand the psychological components to this problem which allow us to make the most progress, while not causing any undue trauma, stress, or anxiety with our clients. If you or a loved one are located in Ohio and want the most experienced, educated and highly trained help for a hoarding problem, you have found us. Contact us by phone or fill out the form below and one of our caring, professional staff members will answer any questions you have, or set up an assessment. 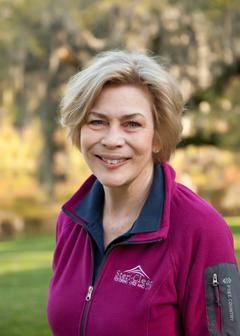 We look forward to restoring your home...and your lives! Ohio Hoarding Experts are here to help you. Hoarding help in Cincinnati, Columbus, Dayton, Cleveland, Toledo and Statewide is just a click away. Contact a hoarding solutions specialist today and watch how quickly we can turn your life around! Steri-Clean Ohio is owned by Heidi and husband Bob who know how to truly help poeople in the community with hoarding cleanup and help with clutter. Their compassion and professionalism is what makes their service so successfull. If you or a loved one needs hoarding clean up help in any part of Ohio, contact us for a free estimate or to answer any questions you have. We are always happy to help our neighbors.